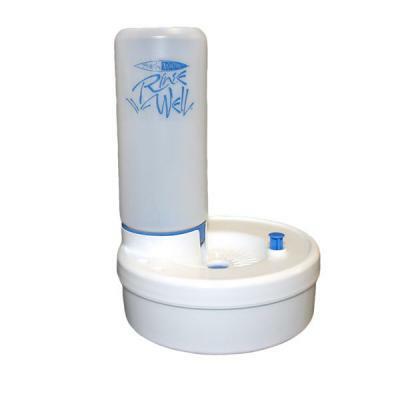 A large well, fed from a bottle of clean water, which at a push of a button, flushes away the dirty water and refills with clean. Initially I bought one, but was so impressed with it I purchesed another. My children think its terrific and enjoy cleaning their brushes. Gives a good supply of clean water and saves time.